Both Russia and Iran are major energy exporters, they have deeply seated interests in the South Caucasus. They are both firmly opposed to NATO’s missile shield, with a view to preventing the U.S. and E.U. from controlling the energy corridors around the Caspian Sea Basin. 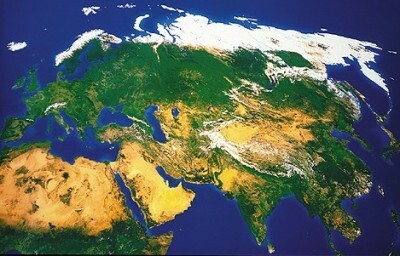 China, the Russian Federation, and Iran are widely considered to be allies and partners. Together the Russian Federation, the People’s Republic of China, and the Islamic Republic of Iran form a strategic barrier directed against U.S. expansionism. The three countries form a « triple alliance, » which constitutes the core of a Eurasian coalition directed against U.S. encroachment into Eurasia and its quest for global hegemony. Moreover, were the structure of political alliances to shift in favour of the U.S., Iran could also become the greatest conduit for U.S. influence and expansion in the Caucasus and Central Asia. This has to do with the fact that Iran is the gateway to Russia’s soft southern underbelly (or « Near Abroad ») in the Caucasus and Central Asia. In such a scenario, Russia as an energy corridor would be weakened as Washington would « unlock » Iran’s potential as a primary energy corridor for the Caspian Sea Basin, implying de facto U.S. geopolitical control over Iranian pipeline routes. In this regard, part of Russia’s success as an energy transit route has been due to U.S. efforts to weaken Iran by preventing energy from transiting through Iranian territory. If Iran were to « change camps » and enter the U.S. sphere of influence, China’s economy and national security would also be held hostage on two counts. Chinese energy security would be threatened directly because Iranian energy reserves would no longer be secure and would be subject to U.S. geo-political interests. Additionally, Central Asia could also re-orient its orbit should Washington open a direct and enforced conduit from the open seas via Iran. Above photo: President Mahmoud Ahmadinejad of Iran and President Dmitry A. Medvedev of Russia during a bilateral meeting in Dushabe, Tajikistan. 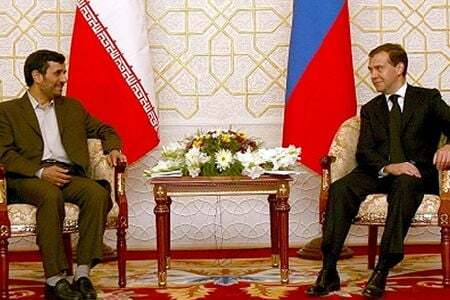 The bilateral Iranian-Russian meeting was held on the sidelines of a Shanghai Cooperation Organization summit on August 28, 2008. 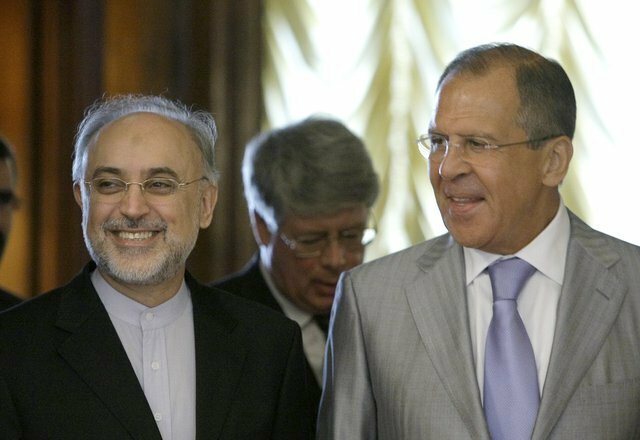 Second above photo: Iranian Foreign Minister Ali Akbar Salehi and Russian Foreign Minister Sergey V. Lavrov together in Moscow discussing Russia’s step-by-step nuclear proposal. Reports claiming that Russia, Iran, and China were planning on creating a joint missile shield started to surface. 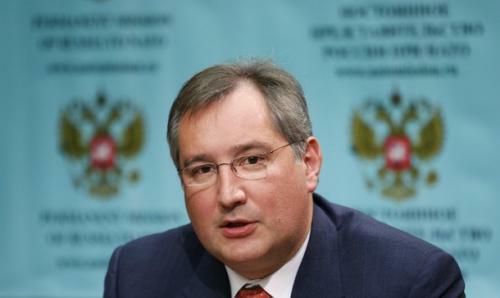 Rogozin, who had warned in August 2011 that Syria and Yemen would be attacked as « stepping stones » in the broader confrontation directed against Tehran, responded by publicly refuting the reports pertaining to the establishment of a joint Sino-Russo-Iranian missile shield project. 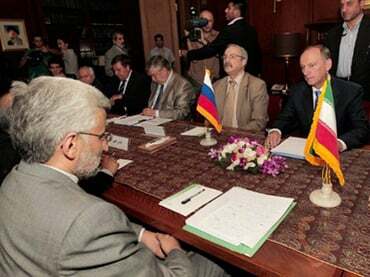 Above photo and second above photo: Secretary-General Jalili and Secretary Patrushev in Tehran, Iran holding Iranian-Russian national security talks during August 2011. 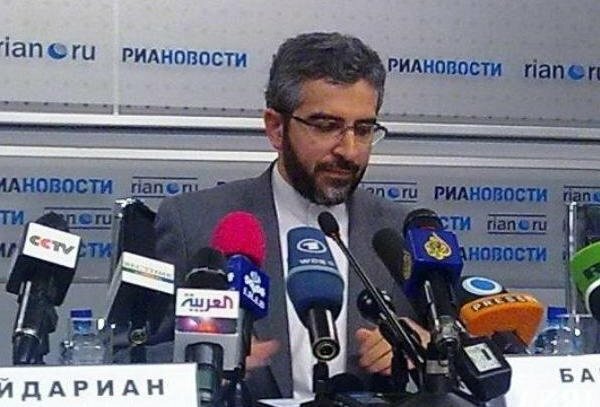 Above photo: Deputy Secretary-General Ali Bagheri at a press conference in Moscow, Russia after signing a security pact with Russian officials. 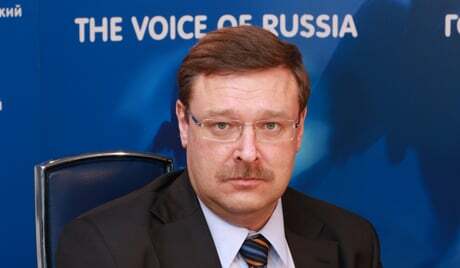 Second above photo: Konstantin Kosachev, the Chairperson of the Committee for International Affairs in the Russian Duma. 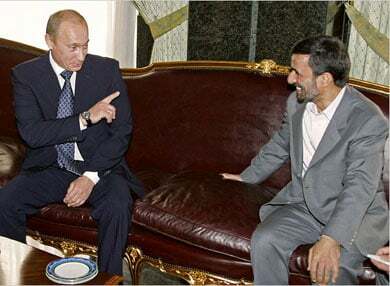 Left photo: Vladimir V. Putin and Mahmoud Ahmadinejad holding talks in Tehran, Iran on the sidelines of a summit of Caspian Sea nations in October 2007. Right photo: Dmitry O. Rogozin, the departing representative of Russia at NATO Headquarters in Brussels, Belgium. The cancelled or delayed deployment of thousands of U.S. troops to Israel for « Austere Challenge 2012 » was tied to ratcheting up the pressure against Syria. On the basis of a Voice of Russia report, segments of the Russian media erroneously reported that « Austere Challenge 2012 » was going to be held in the Persian Gulf, which was mistakenly picked up by news outlets in other parts of the world. 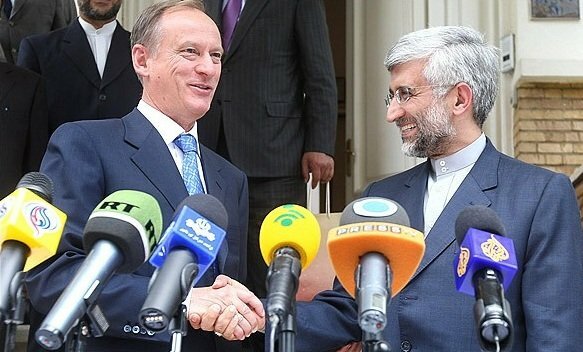 This helped highlight the Iranian link at the expense of the Syrian and Lebanese links. The deployment of U.S. troops was aimed predominately at Syria as a means of isolating and combating Iran. The « cancelled » or « delayed » Israeli-U.S. missile exercises most probably envisaged preparations for missile and rocket attacks not only from Iran, but also from Syria, Lebanon, and the Palestinian Territories. 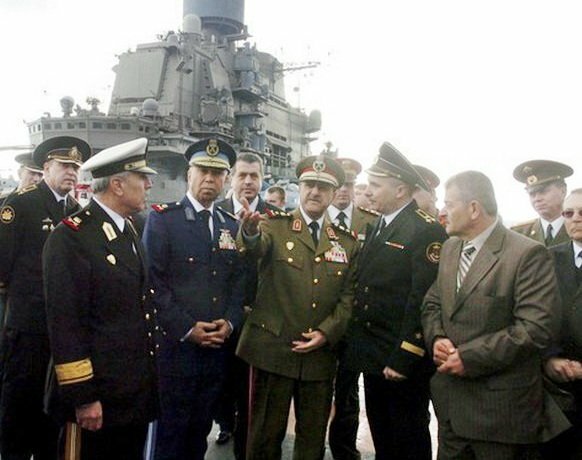 First photo above: Syrian Defence Minister Dawoud (David) Rajha visiting the docked Russian aircraft carrier Admiral Kuznetsov in the Syrian port of Tartus on January 8, 2012. 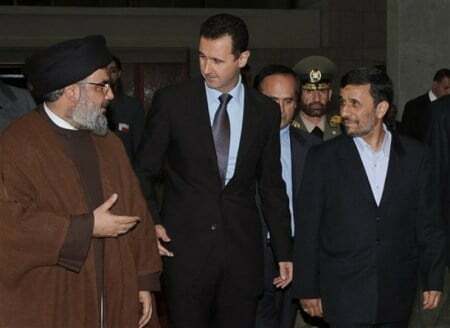 Above photo: Syrian allies, Secretary-General Hassan Nasrallah of Hezbollah and Mahmoud Ahmadinejad of Iran, join President Bashar Al-Assad for a summit in Damascus, Syria on February 25, 2010. 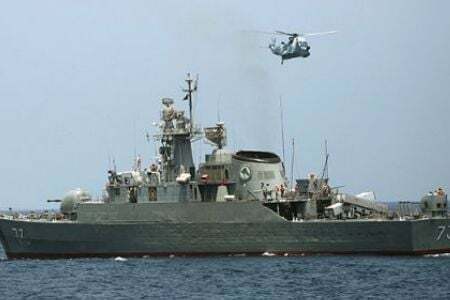 Above photo: The Alvand, one of the two Iranian warships that visited the Syrian port of Lattakia during February 2011. 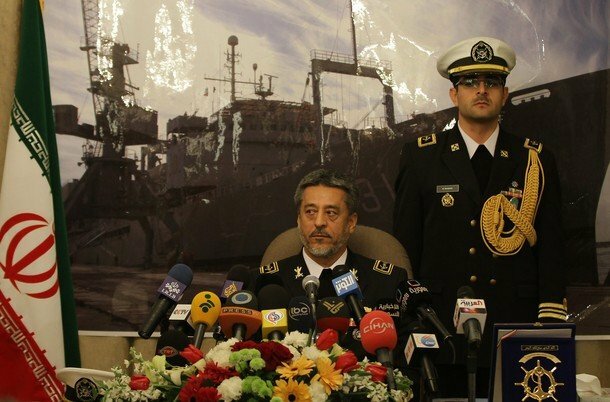 Second above photo: Rear-Admirial Habibollah Sayyari holding a press conference on February 28, 2001 at the Iranian Embassy in Syria about the Iranian naval presence off Syria’s Mediterranean coast. This article was originally published by the Strategic Culture Foundation on January 21, 2012. To Tehran, Obama’s gestures in his Hormuz letter are meaningless, because his actions have always contradicted his words. Since 2001, Washington and NATO have started the process of cordoning off Lebanon and Syria. This initiative was supported by Israel with a view to weakening Syria and curtailing Iranian power and influence in the Middle East. America’s Next War Theater: Syria and Lebanon? This secret Israeli-Saudi alliance acts to destabilize Southwest Asia and North Africa on behalf of the Pentagon and NATO. Mahdi Darius Nazemroaya is a Sociologist and award-winning author. He is a Research Associate at the Centre for Research on Globalization (CRG), Montreal. He specializes on the Middle East and Central Asia. He has been a contributor and guest discussing the broader Middle East on numerous international programs and networks such as Al Jazeera, Press TV and Russia Today. His writings have been published in more than ten languages. He also writes for the Strategic Culture Foundation (SCF), Moscow.